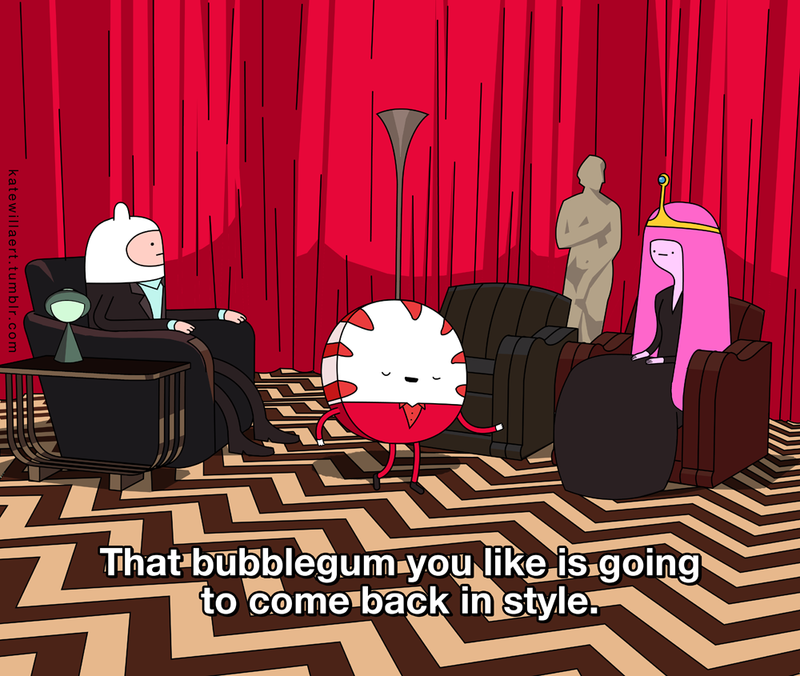 The only thing that would be more surreal than this Adventure Time and Twin Peaks mash up is if Pendleton Ward and David Lynch actually made a series together! Credit for this art belongs to two different artists. Kate Willaert deserves credit for the top picture and Mentalguy did the bottom two. Excuse me while I go cut my face shaving and laugh insanely in the mirror for the next hour and a half.